There is plenty of shopping in Orlando – maybe too much – and although your student is up there for school, there is always something that he or she will need, particularly at the start of the first semester. Whether you go to an actual retail store or order online, you will be buying stuff. It’s a good idea to order some things online or at your home store and have them waiting for you at a store in Orlando. This can be done at Target, Walmart and Bed, Bath and Beyond, and can be extremely time-saving as well as freeing up space in your vehicle or if your student is flying into town, making shipping far easier and less expensive. There are many other major box stores near UCF as well, including Best Buy, Dollar Tree, Sears, TJ Maxx and a few department stores. And since they will be spending about 4 years at UCF, they should probably know that there are many (too many to list) stores and restaurants right at their fingertips at Waterford Lakes Town Center on N. Alafaya Trail; a hop, skip and jump from campus (but you really can’t walk). Apple – There are two Apple stores near UCF. They are both about 30 minutes away but compared to some of the other state schools in Florida, our Knights are very fortunate in this department. Ikea – The mere mention of Ikea and you will find many college students turn to this affordable, trendy store for everything from bedding to dressers, decorations and more. Luckily there is a location about 30 minutes away. For a bit extra, purchases can be delivered. They even host a college shopping experience with special offers, giveaways, workshops and more, all designed to help you navigate this exciting next chapter. Check the website for dates, This year’s event in Orlando is July 14 – 16th but check locations near you to take advantage of their specials. Bed Bath & Beyond – As its name implies, this large store carries almost every item imaginable for a bathroom, bedroom and kitchen. They literally cater to the college market. Just about everything you need to set up a dorm room just right can be found here. A good idea is to order things at your local B,B,B and have them shipped to the store near UCF. You can pick them up there and you won’t pay for shipping that way. Best Buy – This chain store is known for electronics, computers, appliances, cell phones, video games & anything tech related. They also are known for their Geek Squad that repairs computer and electronics. For students needing an appliance such as a dorm refrigerator or large electronic item such as a television, simply order it conveniently online or a store near you and arrange for pick up at the location in Orlando (in Waterford Lakes Plaza). Receive discounts by signing up for College Student Deals. To sign up, simply register to receive them by providing your student information on their College Student Deals page. Ross – Located in Waterford Lakes Town Center on N. Alafaya Trail, many students (and parents) appreciate being able to find clothes, furnishings and more at discount prices. They have some great stuff for dorms too. Super Target – one of my favorites; is considered a trendier discount retailer. They too sell just about everything your student may need for college including room essentials, cleaning and school supplies, toiletries and some grocery items. (Generally, their Superstores carry food and the one at Waterford Lakes Mall, 12 minutes from campus, is a Superstore.) You may want to take a look at their website and college registry before arrival day. This Target is sure to be a madhouse on move in day, but take note there is another one in Oviedo Mall, which is not much further away, but may be worth the trip to avoid some of the mayhem and possible empty shelves. If that too is out of control, a trip into Winter Park may be in order, but caution: Winter Park is a quaint little town with adorable shops and great restaurants so remember your goals and plan another day to come back and enjoy. 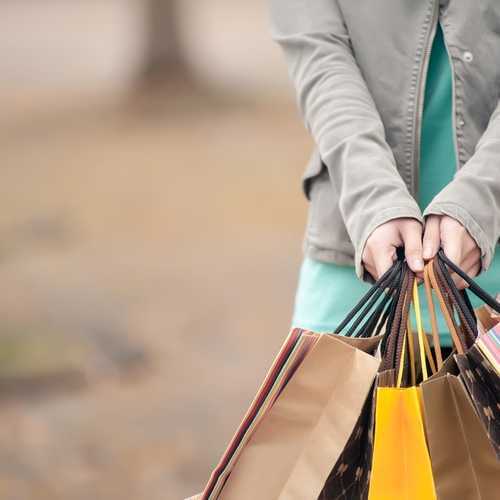 Department stores – Macy’s, Kohl’s, Neiman Marcus, Home Goods, Marshall’s, TJ Maxx and Bloomingdale’s – are all located fairly close to UCF as well. They have clothing, accessories, home furnishings and housewares; some at more discounted prices than others (Kohl’s, Marshall’s, Home Good’s and TJ Maxx). The Mall at Millenia, with more high-end stores, is about 30 minutes from campus. Walmart – Is a chain of discount department stores. With a few locations in Orlando, they carry almost every item a college student could need. From toiletries to furniture, groceries, paper goods, cleaning supplies to clothing, it is a go-to place for picking up almost anything. Expect long lines during the move-in week of each semester and they may run low on stock, but can be seen restocking shelves daily especially for the items you may have forgotten at home. One of my favorite parts of Walmart is that they carry lots of UCF gear at far better prices than the bookstores. There is also a Walmart Neighborhood Market for groceries if you want to fill his/her refrigerator before you leave. Office Max– There is an Office Max also in Waterford Lakes Plaza. This store is where you want to go for school supplies, office furniture, printing services, ink, and toner. They also offer computer tech support and cell phone repairs which hopefully they won’t need. I’d like to take a moment to interrupt this message to bring you a little motherly advice on this subject: Computer issues can be very touchy and extremely stressful. Consider Apple Care (if your student has an Apple computer) so they can get technical support at any time. In addition, there are a few online backup services that are worth looking into regardless of what type of computer is used. They are preset to back up daily and automatically. I currently use Mozy to backup my computer and all of my kids’. The nominal yearly fee can help avoid the panic that comes along with a crashed computer and a paper that is due the next day. When you are first moving your student to UCF, expect that the area will be extremely crowded with parents and their students all vying for the same items. While most of the stores are prepared for this onslaught, there are some items they still run out of and some you won’t have realized you need until you get there and actually begin the set up. Another consideration is the wait time to pick up your items that you may have pre-ordered. It is, as I said, sometimes worth going to the further location to avoid this.